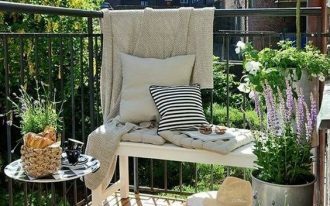 When you have patio, either balcony, backyard or front yard, you will want to make sure that it looks good day and night, especially the one where you spent much time. 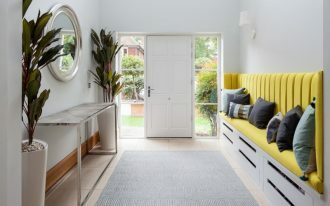 Besides thinking about the furniture you want to put outside, you will also need to thinking about the lighting fixture too. At night, it will help bringing ambiance alive. It is not only give light but also give you the right atmosphere. 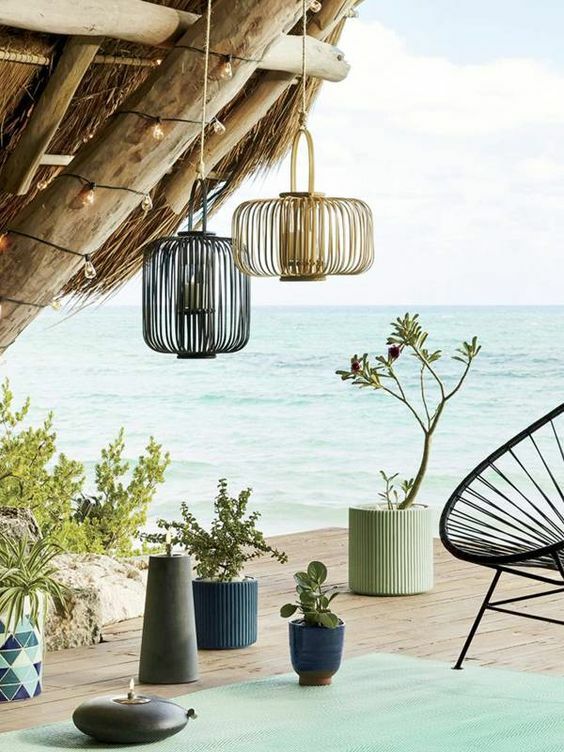 And here below are some inspirations in patio’s lighting fixtures. 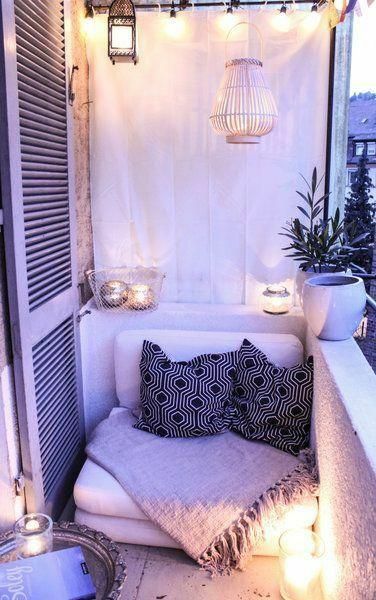 Having a small balcony when you want to create simple yet romantic vibe will make you think of empowering the lighting fixtures so that it will look sweetly beautiful without using too much furniture that will suffocate the space. Fairy lights always have this sweet and mesmerizing feeling when it is used along the wall and ceiling. And that is exactly what this balcony has. 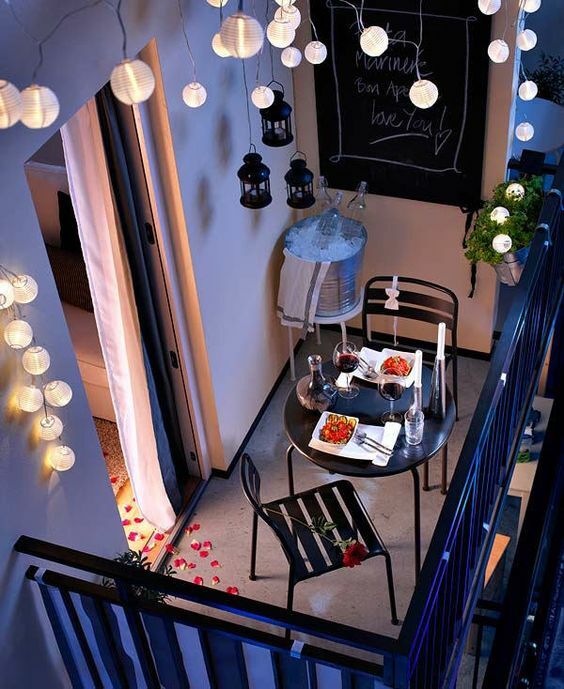 The sweet atmosphere that supports the romantic layout for a dinner in the balcony. 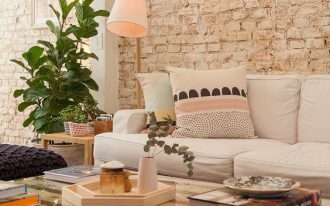 Not only pendant lamp that can be covered with beautiful rattan. The candles can have it too. 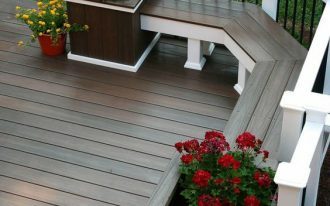 Seen in this deck, rattan cover is used for the candles. With the breezy wind, it is the perfect option. 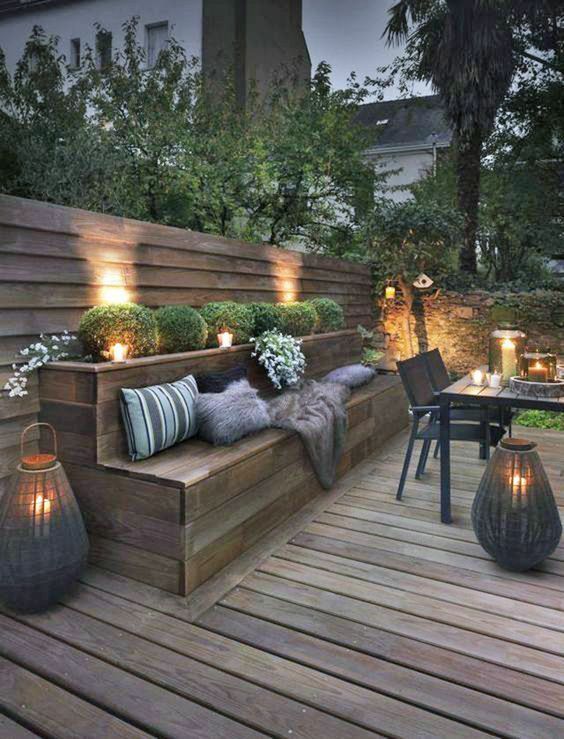 In this warm deck of wooden material, yellow lights are the perfect choice to get. 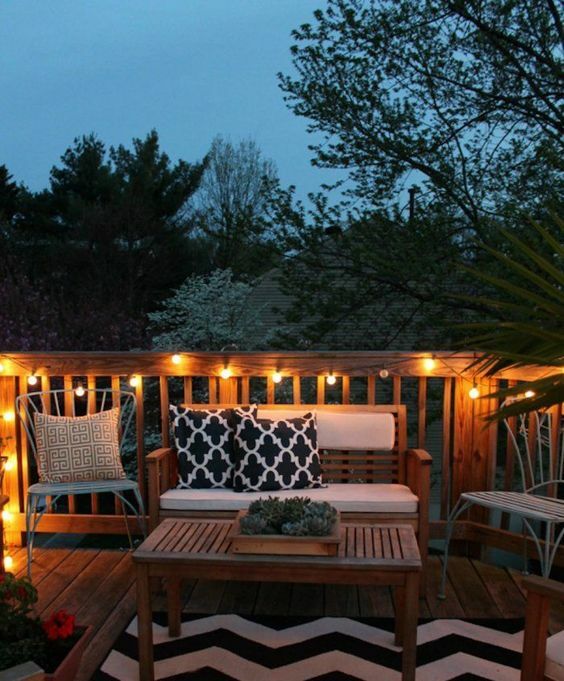 Installed along the fences, fairy lights on this deck looks warm and sweet. For those who love natural materials and textures, this patio here is a perfect sight. 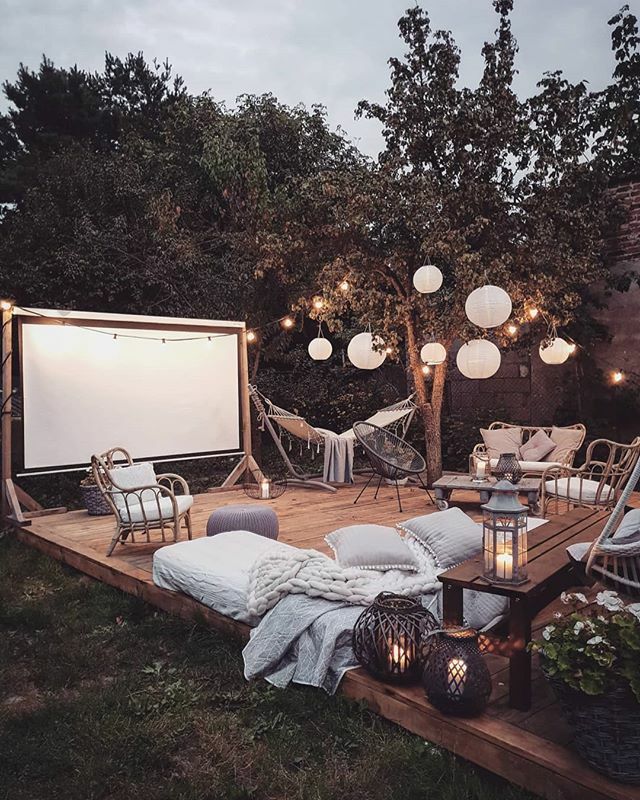 With wooden deck, rattan chairs, wooden coffee table, and hammock, it all looks so warm and natural. The light in the lanterns bring more warmth to the sight. Combined with the Moroccan lantern on the floor, it is a terrific sight. 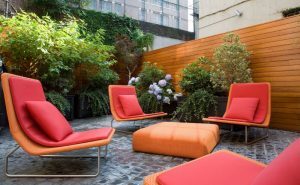 Having small LED on patio is one of the most practical things to do regardless lighting fixtures in the patio. It is beautiful and with minimal treatment. And combining it with candles in certain nights, it looks just like another candles. 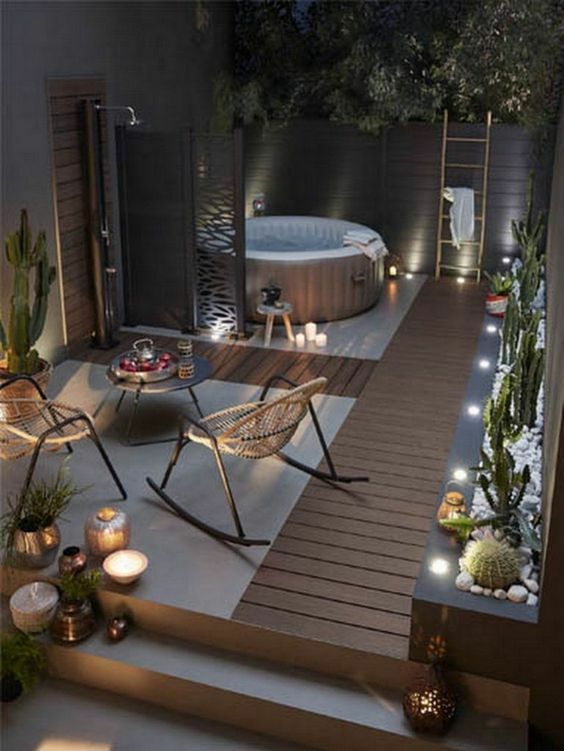 This one here is another patio that looks comfortably basking in natural vibe. 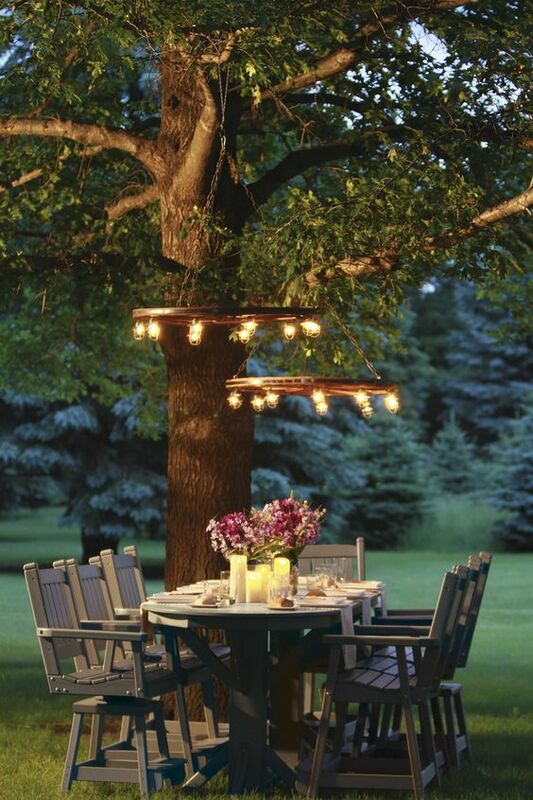 The lighting fixture are subtle and but are on all over the place, beautifully placed, creating romantic scene. 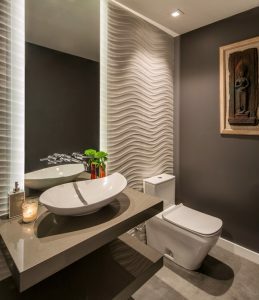 Sometimes, it is not just the lighting fixture but it is also about how you install it. Like this one here. The round chandeliers are looking simple and raw but installed from the tree’s branch, it looks unusual and it makes you want to take a lot of pictures. Moroccan lamps are always beautiful with its special patterns that allows the light to make mesmerizing shadows outside. 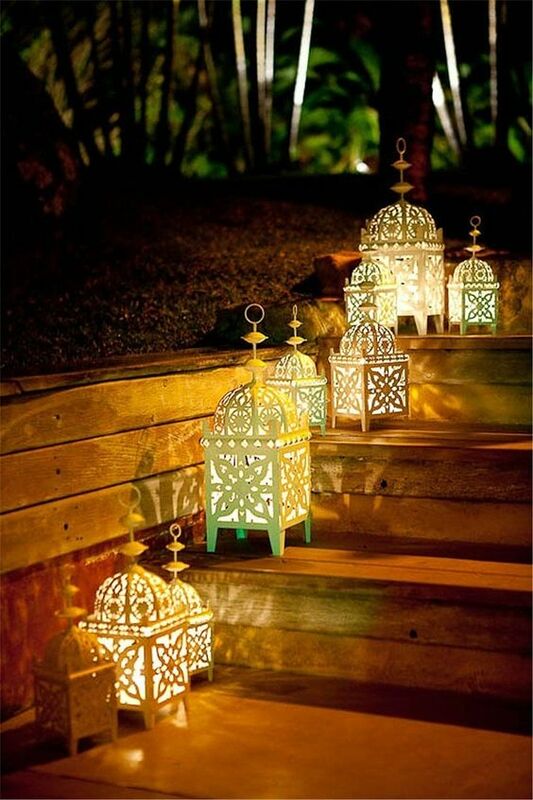 Seen in this one are some small Moroccan inspired lamps that are effortlessly put on the stairs. Having a seriously designed patio is a blessing. And putting lighting fixture would be really fun, like this one here. 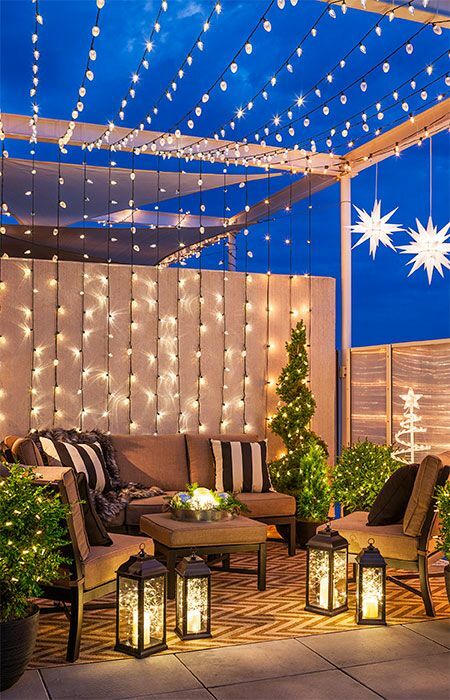 With pergola, it is easier to put fairy lights. 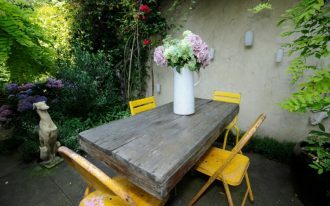 Added some light on the floor, table and some hung, it is indeed perfect for special occasions.